Shop Assistant: In need of work experience, want to make a difference in ethical consumerism or simply want to volunteer in a friendly and sociable environment? Then SUSSED is the perfect place for you to volunteer! Volunteers also receive a discount on goods sold at SUSSED. We also have some need for office based tasks - just talk to us about what skills you can offer or perhaps how we can give you experience in an area you want to develop. SUSSED has worked with a number of schools and other organisations to provide work placements for students from around South Wales and further afield. 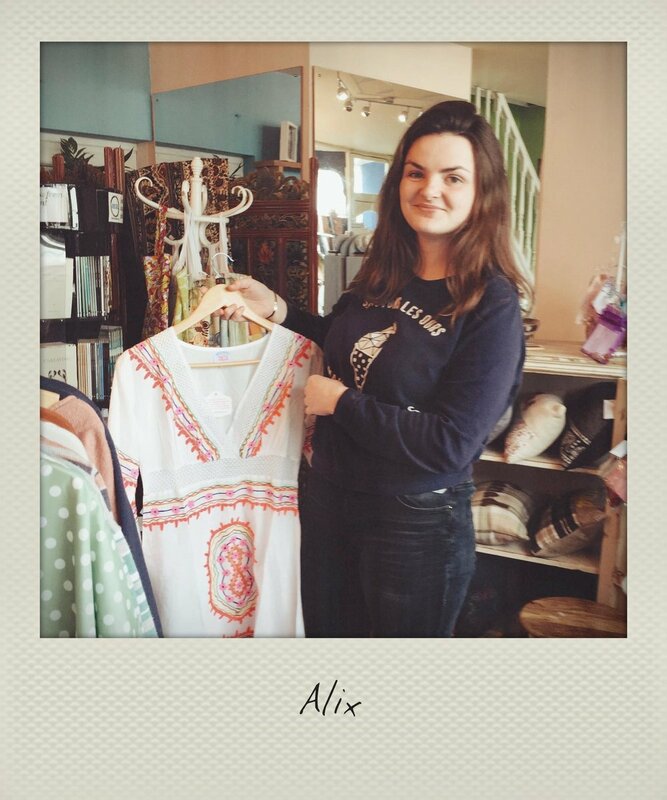 "For a French student it’s very interesting going to an English/Welsh speaking country to learn and to work. My host family showed me the SUSSED shop and I really liked the idea of volunteer work. It was a really enjoyable experience, with very friendly people and I hope that my work there has made a difference. " 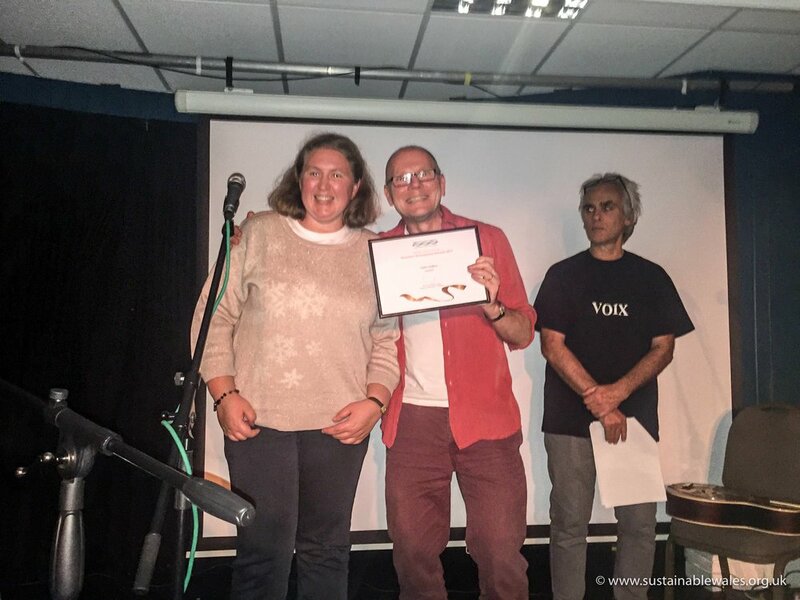 Our youngest volunteer, Jareth Kale was awarded a Certificate of Recognition for his work with SUSSED, from the Bridgend Association of Voluntary Organisations. Hello, my name is Alix. I came from France. For my studies, I had the opportunity to work at SUSSED for three weeks. I Really enjoyed this work experience. Everybody was really friendly with me. During these three weeks, I did merchandising, the shop windows, I cleaned and did the till. Sometimes it was difficult to understand the customers but I've learnt a lot of new vocabulary. So thank you SUSSED and maybe see you soon! 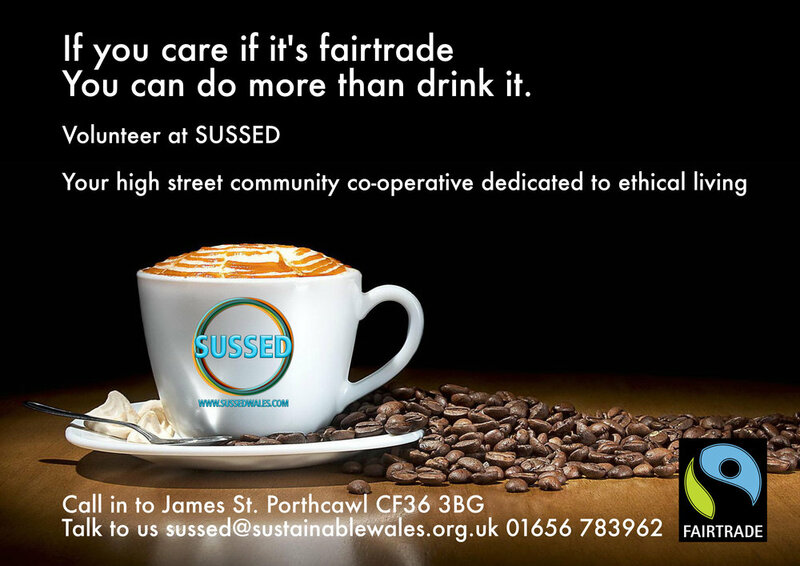 SUSSED Community Cooperative based in Porthcawl supports short-term internment’s for local Sixth formers. "Work - placements for the borough's young people comes around annually and we try to support this school initiative at SUSSED. Luckily some join the regular volunteers and come along afterwards and offer their time during the summer holidays, building experience and adding to their CV’s.” They learn a lot about ethical purchasing and the benefits of supporting a strong local economy” said Margaret Minhinnick, Director of SUSSED. Cian commented "I have worked as a volunteer before and I recommend the experience very strongly to anyone my age. The benefits are countless, we learn new skills as well as making new friends and the experiences are lifelong." Jessica added “ It allows us to interact confidently in new situations and working in the fair-trade movement helps us expand our knowledge"
When will I be needed? Opening hours are from 9:30am-5:00pm, Monday-Saturday. Volunteer rotas are produced dependent on people's availability, with volunteers typically electing to do around four hours a week (either in the morning or afternoon). What will I gain from the role? Experience of working with a team of committed people - of all ages; make new friends; develop valuable skills (useful for people building their CV); gain confidence, whilst also supporting producers both in the developing world and in your locality. Skills/Qualifications: No specific skills or qualification are required to work in SUSSED. We will give full training and support. We simply ask that you are able to get along with people and work as part of a team. Please call us today on: 01656 783 962 or call in to the shop! No time but still want to support SUSSED? Become a member and receive membership benefits and a say in how we are run. 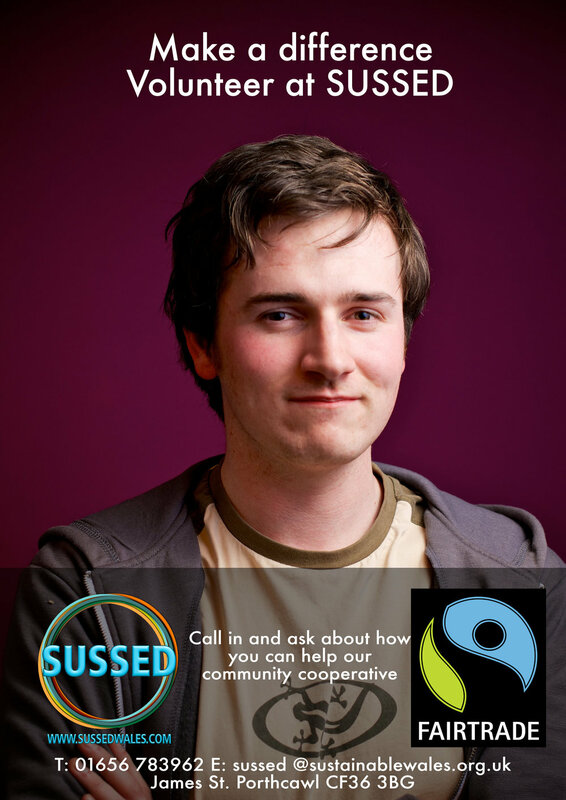 SUSSED is different, it's a social enterprise (a community run co-operative). 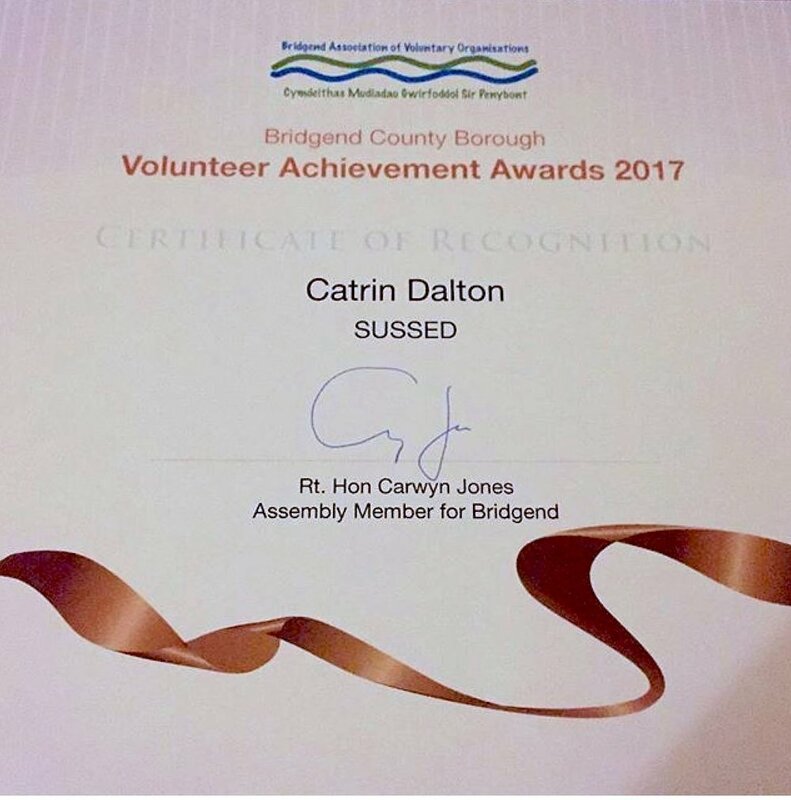 BAVO award for Catrin presented at the SW 20th Anniversary celebration in late 2017.